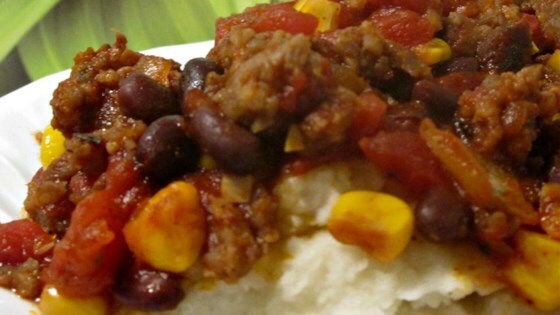 "This is a quick recipe my mother made a lot when I was growing up. It has a great flavor! Serve over rice." See how to make a simple, top-rated corned beef hash. This an old recipe of my mother's. It's really great for a quick comforting meal. It can be changed around with no problems. My husband made this last night for us. It was very good. Our 4 y/o daughter even ate it too. She usually doesnt eat rice, but she did last night. Whoo hoo! Go Daddy, go Daddy!